Periscope – the latest #SoMe for spreading the Palliative Care message? 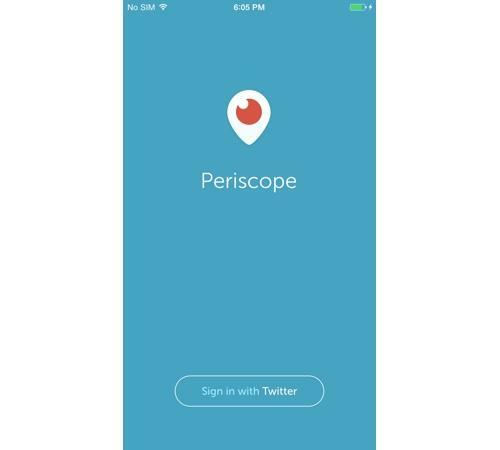 Has anyone tried Periscope, the new live-streaming video app from Twitter? I used it earlier this week to watch an interview via health journalist (and all round social media star @croakeyblog) Melissa Sweet’s Periscope account. I’m unsure of the potential of this new app at the moment (it could be a great medium for the #thickenedliquidchallenge) but will try it out this weekend when I’m in Melbourne for the Medicine Social health and social media event. (Palliverse’s own Sonia Fullerton is one of the speakers.) You can watch live or on replay for 24 hours after the event. If you’d like to play along, you can download the app here and follow @palliverse (and @Elissa_Campbell while you’re at it). I think it’s only for iOS at this stage – sorry Android users.